We have researched and compiled what may be the most comprehensive and up-to-date Google Map collection available for travellers headed into the three Guianas and beyond. Load them up on your portable device and take them with you as you travel – or simply click through and daydream about your upcoming adventure! The sugarcane fields along the coastal highway are a good place to look for Long-winged Harrier. The Annai Airstrip is immediately adjacent to Rock View Lodge and a 10 minute walk from the center of Annai Village. Trans Guyana Airways provides daily scheduled service to Annai from Georgetown and Lethem. Established in 1993, Arrow Point takes its name from the profusion of arrow trees that grow in the area. As the name suggests the trees are used by the native Amerindians to fashion the arrows used for hunting. The Resort’s eight cabins and its main Lodge are all built from timber and other materials taken from surrounding area and constructed by local Amerindian craftsmen. Small, inconspicuous and comfortable, the cabins sit beside well manicured grasslands, their functional exterior concealing en suite bathrooms, and large comfortable beds that offer a romantic and comfortable setting for couples and families. The views from Awaramie Mountain are nothing less than stunning. The hike up to the top of this 1000-foot peak is a bit challenging in the heat and humidity of the rainforest. 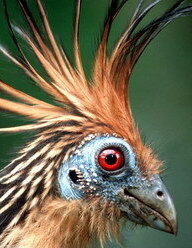 But those who stick it out are rewarded with a steady breeze and limitless views across the canopy. With advance preparation, groups can camp at the top of Awaramie. No trip to Georgetown would be complete without a visit to the Botanical Gardens and zoo. 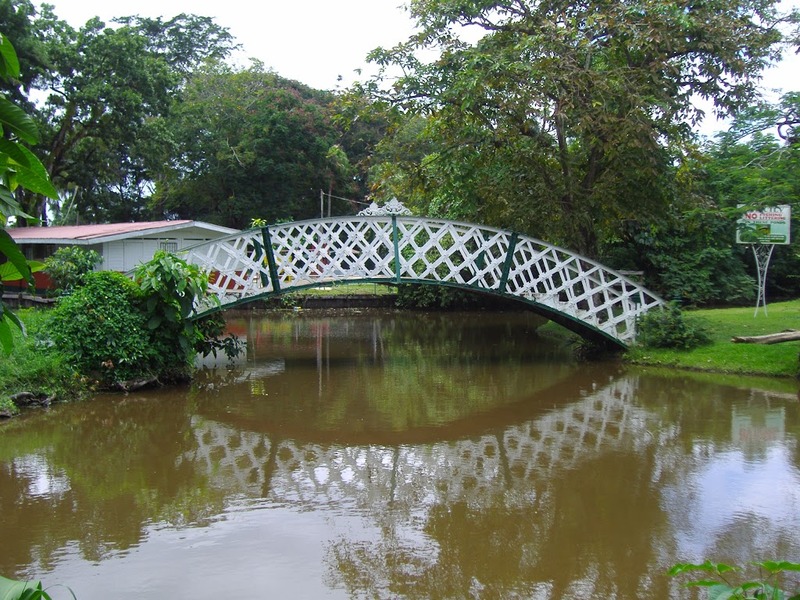 The Botanical Gardens offer views of one of the most extensive collection of tropical flora in the Caribbean and are laid out with ponds, canals, kissing bridges and a bandstand. Over 100 species of Guyanese wildlife can be observed at the Zoo including a wide variety of tropical fishes and birds. 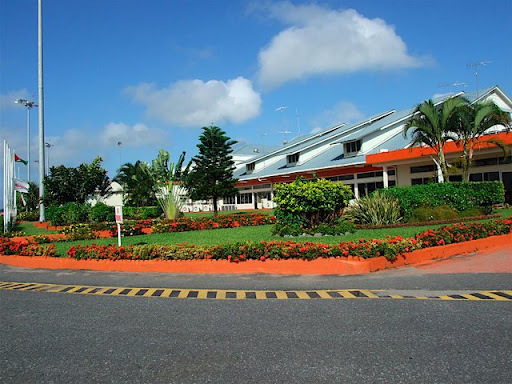 Guyana’s international airport (GEO) is named after Cheddi Jagan, Chief Minister of British Guiana from 1961 to 1964 (prior to independence) and later President of Guyana from 1992 to 1997. The airport sits 28 miles south of the capital city. The airfield, which opened in 1941 as Atkinson Air Force Base, was an outpost of the a US Army serving aircraft headed for Europe. It was also home to anti- U-Boat missions throughout WWII. When Guyana became independent in 1966, the field’s operations were handed over to Guyana at which point the facility was renamed Timehri, a Carib word for the rock motifs located in Guyana’s interior. It was again renamed uopn the death of President Jagan in 1997. On the Rupununi River deep in the southern savannah, Dadanawa Ranch is the largest and most isolated ranch in the country covering some 2,000 square miles. A trip across the savannah by open backed jeep and following the foothills of the Kanuku Mountains will lead you to vacquero country.Weathered ranch and bunk houses stand high on stilts offering unforgettable views of the red sun rising behind the distant mountains. Here, you will find vacqueros flying across the plains, barefoot in the stirrup in search of cattle, and jaguar venturing from the mountains in search of the same prey. From Dadanawa, horse trails lead to the mountain foothills where nature has provided streams to refresh and scenery to take your breath away. Nights can be spent under the stars, cooking on an open fire and sharing a rum after a hard day’s ride. You can join the vacqueros in working the cattle or take a leisurely ride along the river. Meal time is a combination of sumptuous beef grilled over a huge open pit barbecue and fresh vegetables. Unusual dishes with Amerindian and regional flavour including baked cassava, tasso and farine are offered. The people of the Rupununi retain a hospitality long forgotten in other lands and their story telling is legendary. Dadanawa Ranch is the perfect base for expeditions in search of Harpy Eagle in the rainforest and Amerindian paintings and petroglyphs on the savannah. Dadanawa is also the jumping off point for boating and trekking adventures into the pristine wilderness of the Kanuku Mountains. 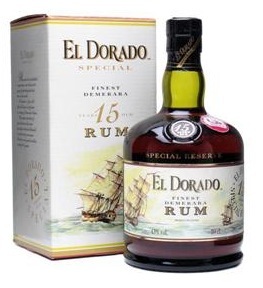 El Dorado rum – the signature output of this venerable facility – regularly bests a long list of respectable Caribbean competitors and turns out to be a Guyanese souvenirs well worth carting home. Those who appreciate good scotch or brandy are especially likely to appreciate El Dorado 12 and 15- year sipping rums and quite-expensive single-barrel bottles.A tour of the distillery is a 90-minute hard-hat affair, taking you directly into the hot, smelly, and noisy innards of the busy factory and barrel warehouse to observe each step of the production process. Modern savalle, coffey, and tri-canada stills are the center of activity: fully operational but semi-ancient wooden stills in the older section are the oldest in commercial production anywhere in the world. You can expect an impassioned education on the art and science of rum manufacturing leading to a finer appreciation of a product that is emerging (along with tequila) as the new ‘in’ choice among those who appreciate spirits. Grass Pond is a bowlake a short hike away from the main Rewa River. Few places in Guyana – or anywhere for that matter – are as supremely tranquil as this secret little spot deep in the rainforest. Your guides from Rewa EcoLodge will guide you around the lake by paddle canoe… ideally just as the sun is beginning to set and birds are coming in to roost for the evening. Visits a little earlier in the day afford the opportunity to fish for lukanani (peacock bass) which swim amply here. Catch-and-release for arapaima is also a possibility. Bring along a bottle of wine or rum and some snacks to fully savor the experience! Amerindian legend tells us that Patamona chief Kai canoed over these falls to appease the great spirit Makonaima and to save his tribe from attacks by the savage Caribishi. Today, Kaieteur Falls is named after this heroic leader, and is recognized as one of the most powerful waterfalls on earth with an 822 foot drop, more 5 times the height of Niagra. The falls are situated in the heart of Guyana along the Potaro River, a tributary of the mighty Essequibo River. Kaieteur supports a unique micro environment supporting several endemic specialities including the world’s largest tank Bromeliads (home to the tiny golden frog), various orchids, and a vast flock of Kaieteur swifts which nest behind the curtain of water. This is a wonderfully remote and unspoiled place accessible only by air and visited by only a handful of people each week. The Karanambu Airstrip is a 15 minute jeep ride from the ranch… or longer, depending on whether the savannah is flooded at the time of your visit. The on-site airstrip is only used for C206 (and occasional Norman Islander) landings due to its narrow and short geometry. 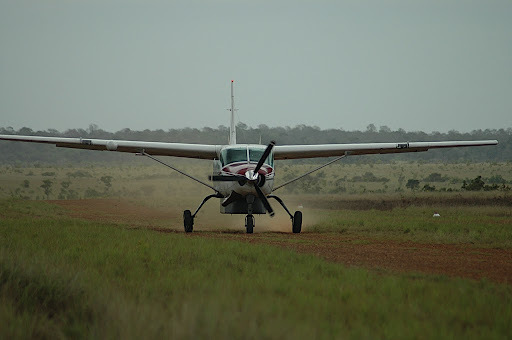 Karanambu’s main airstrip is a few miles away from the Ranch grounds, although an airstrip on the grounds can accommodate small aircraft such as the Cessna 206. We will make a very early start for the small community of Karasabai, located on the border with Brazil, which is where one of the rarest and most spectacular birds in Guyana, the Sun Parakeet, can be found. Depending on where the birds are feeding, we may need to use motorised canoes to maximise our chances of finding this gorgeous parrot. Other species which can be found in this area include Jabiru, Maguari Stork, Muscovy Duck, Great Black-hawk, Aplomado Falcon, Plain-breasted Ground-dove and Black-crested Antshrike, however, this area is isolated and has not been thoroughly explored by birders, so there is a chance that we could make some genuinely noteworthy discoveries. After several hours on the river, we will return to the landing and then drive back to Lethem. Kwatamang Landing is the most convenient access point to the Rupununi River when heading to Crashwater, Rewa, and Apoteri. Depending on flooding levels, the landing is a sandy shoal in the river or an ambiguous muddy point where savannah meets floodplain and 4X4 travel is no longer possible. Lethem, on Guyana’s southestern border with Brazil, is a small town with an certain wild-west character that is quickly being overtaken by economic growth sparked by opening of Takutu River Bridge in 2009. Dozens of Brazilian and Chinese provision shops popping up on every corner hint at a new prosperity for this once-sleepy border town. Portuguese is widely spoken. Lethem is the capitol of Region 9 and is a hub linking many of the surrounding villages to Georgetown. Despite its emerging connections with Brazil and commercial trade, one still spots teams of Vaqueros – or cowboys – roaming town as they collect supplies for the various Rupununi cattle ranches that dot the surrounding landscape. Cashew, mango, and coconut trees abound. 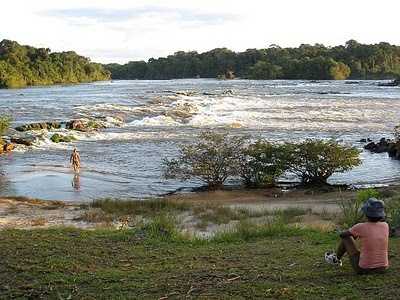 Lethem is a good jumping-off point for visiting Dadanawa Ranch, Maipaima Eco-Lodge near Nappi Village, and for trekking out into the Savannah in search of the Rio Branco Antbird. Lethem is linked with Georgetown by daily air service on Trans Guyana Airways (TGA) as well as overnight bus and minivan service. We use small boats to cruise this small river to see Guyana’s national bird the Hoatzin, which is found in abundance here. Large flocks of heron and egret frequent the canal zone, and it’s not infrequent to spot howler monkeys here… a rather remarkable feature of a nature area only 20 miles away from the capital city. Perched amidst the idyllic gentle rapids of the Essequibo River near Kurupukari Crossing, Michelle’s Island is a local secret we can’t resist sharing with the rest of the world. The cold drinks, tasty snacks, and opportunities to take a dip in the cool waters make this a perfect spot for afternoon sundowners. Ogle is Georgetown’s in-town regional airport. Flights to Kaieteur Falls, Guyana’s interior, and neighboring Suriname depart from Ogle, a 10 minute drive from the city center. 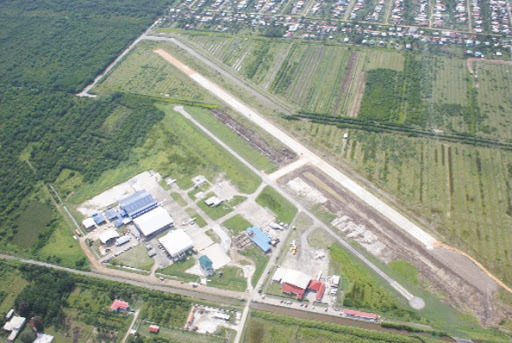 The aiport’s main runway is currently being lengthened to 4,000 feet to accommodate larger aircraft in anticipation of greater regional traffic in 2011 and beyond. Rewa Village, a few minutes’ walk from the ecolodge, is a thriving but small community of 200 residents. Guests are inivted to visit the village accompanied by a guide to see the school, health clinic, wildlife club, store, and various families’ habitations scattered around the village. Seawall is a 40 minute canoe ride south of the Eco-Lodge and is a perfect spot for afternoon sundowners. The rocks at Seawall are full of legend, and local soothsayer Rudy will gladly spin tales of days gone by when his own grandfather – a local shaman – lived and hunted in this area. The climb to the top of Turtle Mountain is an exercise in species identification… we will encounter as many as five species of Tinamou, Marbled Wood-Quail, Band-rumped Swift, White-banded and Black-collared Swallows, and Guianan Streaked-Antwren as we make our way to the base of the mountain. Then as we ascend we we’ll be on the lookout for Harpy Eagle in addition to Greater Yellow-headed Vulture, King Vulture, Gray-headed, Double-toothed and Plumbeous Kites and Black-faced Hawk. At Turtle Ponds we’ll spot anis, herons and Green and Rufous Kingfisher. As we approach the top 900 feet over the forest floor there are excellent chances to spot Green Aracari, White Bellbird or a fly-by of one of five types of Eagles. The trails may reveal Little Chachalaca, Marail Guan, Black Curassow, Squirrel and Black-bellied Cuckoos, Eastern Long-tailed and Reddish Hermits, Blue-crowned Motmot, Guianan White-necked Puffbird, Collared Puffbird, Pygmy, Todd’s, Spot-tailed, White-flanked, Gray, Long-winged, Rufous-bellied, and Brown-bellied Antwrens, White-lored Tyrannulet and Helmeted Pygmy-Tyrant. On the return trip we will bird as we go and hopefully spot Caica, Blue-headed, Blue-cheeked and Mealy Parrots, Cocoi Heron, Bat Falcon, Lined Forest-Falcon and Pied Lapwing. This is the main boarding point for boat transfers to Mapari or up to Kwatamang (and Ginep, further beyond). 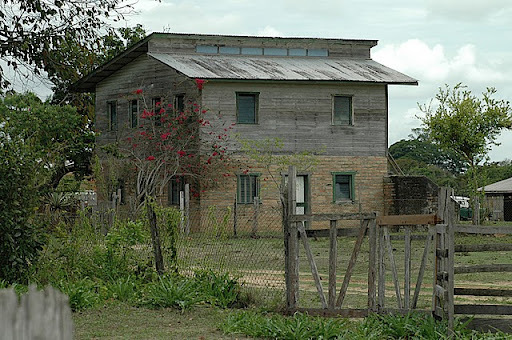 It is about a 10 minute 4X4 drive from the village center and Caiman House to the landing. Updated Suriname maps coming soon! Updated French Guiana maps coming soon! Updated Dominica maps coming soon!